On the dashboard we first see the #MapLesotho blog widget that shows all these blogs. 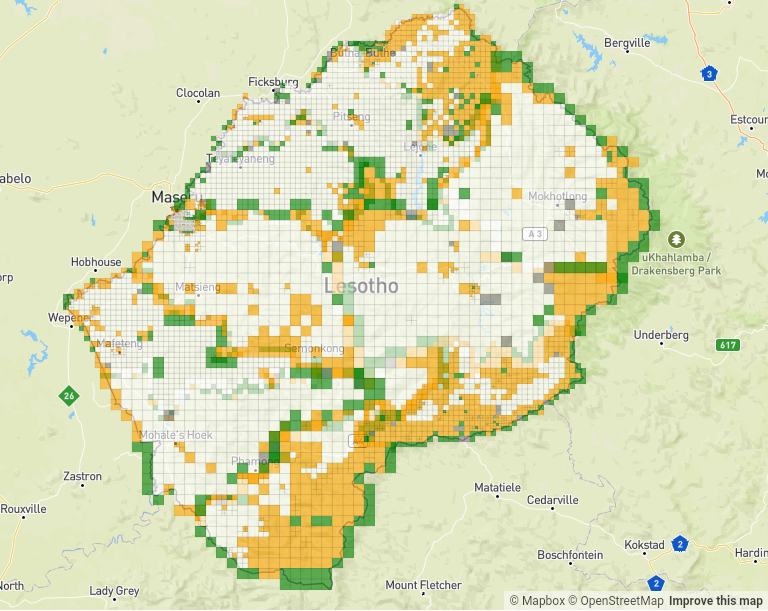 The blogs give a clear picture of what #MapLesotho is all about, as well as different side dishes… about technology and geography and planning. The Leaderboard - showing maplesotho league table since February 2015. This is good for an “all time” picture. However, it excludes a lot of mapping done in 2014 not showing what those involved did. 2. Since February - this is showing the since the beardies left this year.. it is good to see who is currently engaging since the beardies Ciáran, Dave and Colin left in February 2016.Five million edits in 6 months!! 3.The Progress Map is very cool. Its a map showing in colour codes we have in tasks.hotosm.org the tiles done and tiles validated on all the districts. It feeds off the task manager, but needs a hard reset every once in a while or you miss the latest. 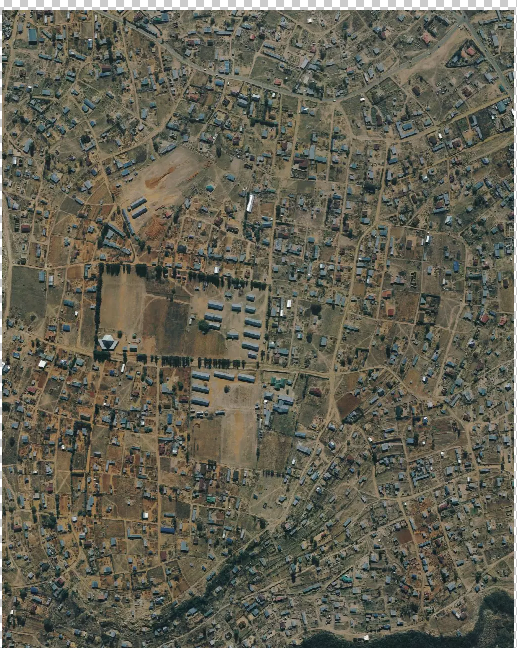 4.Maseru aerial imagery is useful in ID if you are involved in the Maseru City task and using the ID editor. I use JOSM and I havent figured out how to use this LSPP data. 5. 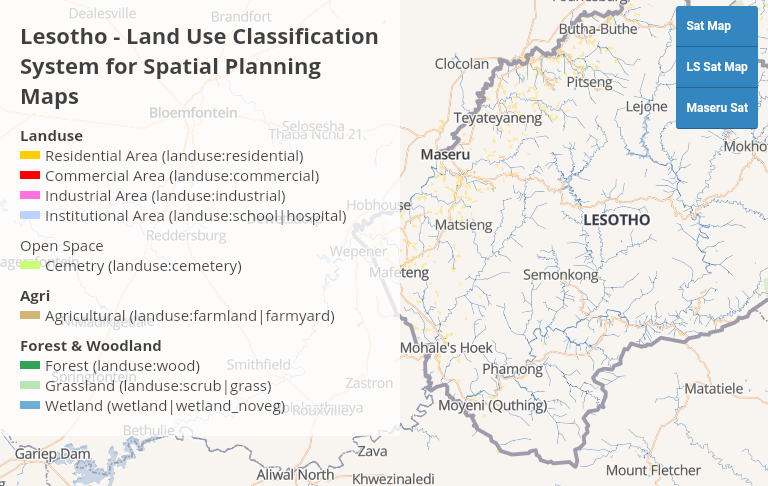 Another Rusty special is the Lesotho Landuse Classification System for spatial planning which is also updated weekly based on landuses we create in ooenstreetmap. How can Rusty improve this? Well he could put in a few links to the vizualising things to look up to see your mapping. These things are scattered out there but I like the site P. Neis has developed. Thank you Rusty for dedicating your precious time to make this tool for MapLesotho. We appreciate what you are doing for the mountain kingdom. We need to understand our efforts on a group and individual basis.